Being in control of your depression can seem easy unless you are living through this illness. Depression is not something that is easy or easily managed; the problem is the illness and it’s complexity, there is such a limited understanding of the condition by those who treat it. I am no way a professional in the field of depression, but I do have one powerful point of reference, it is something that I fight with on a daily basis. It is surprising how powerful an illness it is and it is one that I will be in control of, it is no longer going to control me. Are You In Control Of Your Depression? I do wonder about this often, am I in control or does my depression and anxiety control me? I like to think that after all this time that I am in control, in the past, there have been days when I know that my depression has taken hold. However, there is light at the end of the tunnel, I do see maybe not an end but a point to where I am more in control. It is hard to explain how it feels when your depression and anxiety is taking over, not letting you explore and enjoy your life. Some people describe it as a cloud over them, they can feel when it starts coming back, for me it is more like a shadow that’s attached and just when you have had enough of it following you around, it comes closer surrounding you with doubt and fear of your own abilities and your own control. Taking control of your depression isn’t easy, you must seek help and advice. If you need medication don’t think of this in any way as a negative reaction. It is purely that you need some extra help to get better; if you have any other illness you wouldn’t question the need for medication, it is the same with depression and it can help. What I think is hard for people to understand, even those going through depression, there is no magic cure, it won’t just disappear, you have to manage it and learn to control it. It can still knock me side-wards and I don’t always see it coming, for me, those days are now fewer and I hope it is because I have a better understanding and manage my days appropriately. While I have a limited knowledge of the subject in the professional capacity, I do believe that I am in a better position to talk and express my understanding of depression from a personal experience. I know that the most difficult concept which I faced was learning that the person I had been, I could never truly be that person again, I needed to change, that old me lead me down the path of depression and to get better I had to make a new path, one that lead me in a new direction. 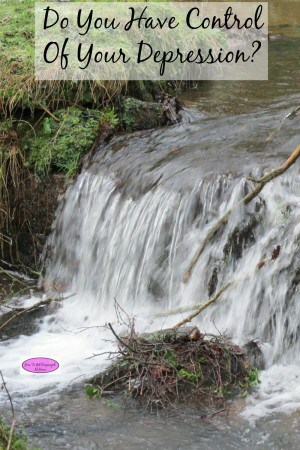 I worked with the theory in this book during counselling and it helped me a lot! This has been the most difficult journey of my life, I didn’t think finding this path was ever going to appear, how would I know what my future path would look like and how would I know it wouldn’t lead me back to the beginning. The path that I am now on has blockages too, the best way to describe those blockages is with little images of me. I was stopping myself from testing a new direction that I wanted to travel. The more I moved in this new direction the more I found that I wanted to destroy the path to happiness, it is as though I believe that I don’t deserve that happiness. Fear and upset of doing something that I had never experienced, wants to stand in my way of finding that new me. I wanted that control, where I could finally say the depression was in the past for good. It wasn’t for the fact that I didn’t think I could travel on this journey, it was more to do with other people, I thought they didn’t want me to do this journey to the new me. The truth was, it frightened from standing up for myself and saying that I want this journey more than anything and I am traveling this path for me, no one is preventing me, including my depression and anxiety, from making this new journey. I am well on my way along my new path to the new me and when I see myself standing in the road, blocking my way, I know I have to fight harder to stay heading in the right direction, I am finally in control of my depression. Are you in control of your depression? However, what is important is that I still take my medication for depression, I talk about what upsets me and I try to see the positive side to things. I can look at how far I have come on this journey and I can finally say that I am proud of how far I have come and I have plans for the future. This is an odd feeling because when you suffer depression there is no future; you can’t see how to live to the end of the day let alone thinking about the future. Therefore, if you’re worried about being in control of your depression, hang in there, it is possible to move forward and start living again. It isn’t easy, it is not a journey that you want to take, but it is one that you must take, you must find that point of control where you know what your future holds and to want to walk that journey through life. I know that I will have good and bad days, I know there are days when I will have more control of my emotions, but I am now focused on my future where I want to go and how I intend to get there. Therefore, finally, I think I am heading towards being in control of my depression. If you are looking for more articles on this topic head over to the landing page where you will find links to other posts on depression. What are your best tips to help take control of your depression? 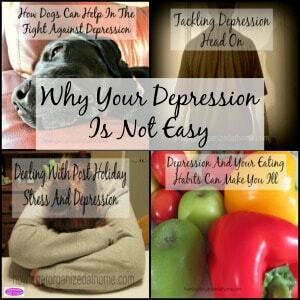 Do you know Why Your Depression Is Not Easy? Check out this article to find out why!